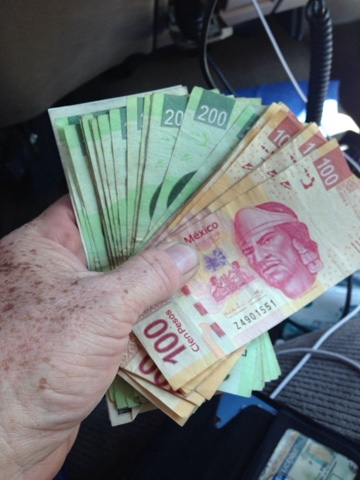 I am right next to the border, exchanges $400 for 6015 pesos, 15.0380 exchange rate. I bought Mexican car and RV insurance, $190 for 6 months, not as good as I wanted, but it's done. So how much does 6015 pesos buy? and I like the background you picked for this blog. It sort of looks like an old house with a lot of stories to tell. Good luck in your ventures!